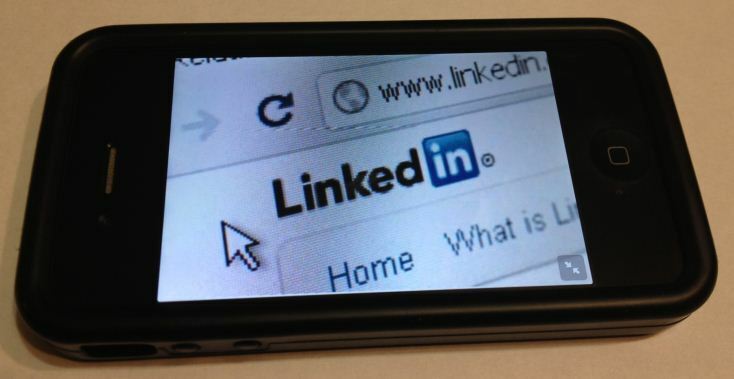 Many experts say “if you are not on LinkedIn you don’t exist as a professional.” I say if you are on LinkedIn you still may not exist if you don’t have an optimized profile. For all intent and purposes, not having an optimized profile is the same as not having a profile on LinkedIn; you won’t be found and if you are found you will not hold the viewers’ attention and if you hold their attention you won’t call them to the right action, which is probably contacting you about a job for most of you reading this article. Here are the things you need to do on LinkedIn to get the most out of LinkedIn. Having a profile on LinkedIn is not a magic pill – it is just one part of well executed career marketing plan. You have to work it to make it work. Set a goal of connecting with 3 people everyday and within a short period you will have reached the magical 500+ status on the network. When connecting customize the standard LinkedIn connection pitch with a personal message of why you want to connect. Online connections are great but that only builds a network and a network is useless unless you cultivate and strengthen it through true relationships. Meriam Websters definition of networking the exchange of information or services among individuals, groups, or institutions; specifically: the cultivation of productive relationships for employment or business. Sadly the relationship part is left out by most job hunters focused on landing a job. To truly build professional relationships take it offline or if you are adamant to keep it online use a medium such as Skype. Connect on the phone because once people get to know you they get to trust you and when they trust you they will stick their neck out for you. It’s a process not a one off contact – so enjoy the process and reap the rewards of continuous employment. If you are in the same city make the effort to meet your connections in person. It is the best way to forge trusting relationships. If you want to know how to ramp up your networking, know what to do to get someone to meet you, what to focus on in a networking meeting and build a trusting relationship so your networking partner will be compelled to help you, then buy this book. Have a recent profile picture of yourself not one of Mickey Mouse. It is a professional network, your identity i.e. what you are wearing should reflect your employment stature. The more attractive you make yourself the better. I am not saying get a glamour picture but making yourself appealing is a fact of nature. Look, I don’t make the rules of biology that just happens to be the cold hard facts. I always tell my charges, if you look frumpy expect to have a frumpy job search- and when you do land expect a frumpy offer. If you are having trouble with interviews -see an image consultant – It is no surprise to me that how you look and how your personality is perceived makes a big difference in job search because we live in a society where professional athletes are revered over Nobel laureates – don’t believe me – who won the last Nobel prize for physics or even better which Nobel Laureate is the only Nobel prize winner to win two unshared Nobel prizes in 2 different categories? (By the way he was my hero growing up and still is posthumously). Many recruiters, human resources personnel and decision makers search Google first and if you have set up your headline correctly Google search results will show your LinkedIn profile at the top of the searches. The trick is to repeat the keywords throughout your profile but especially in the headline. To get noticed and attract the right attention through Google your headline needs to contain the keywords that represent what you do, Job Titles and Job Title variants are the most common. One trick is to reverse the order for example Bioanalytical Scientist | Scientist Bioanalytical because the order of words make a difference in search results. Indicate clearly why you are on LinkedIn. That varies for everyone. I am on LinkedIn to market myself, demonstrate credibility through social proof as evidenced by the myriad of recommendations from top notch professionals- (not those endorsement thingies) and to reach out to build relationships as well as offer my services to help professionals remove the greatest obstacles to their job search so they can get hired in a job they really want rather than settling for just a job. For SEO purposes (see below) as well as for LinkedIn search results. Show what you can do not just what you have done, and also point out at least one wow accomplishment in your career related to the job you want. Social proof counts. Having you scream out on your profile how great you are… only goes so far. Having recommendations from your previous bosses raving about you holds much more weight than all the beautiful words you can put down in your profile. Get recommendations from your colleagues also- the ones that count are those that clearly indicate they are raving fans of your work. Search Engine Optimization of your profile on LinkedIn as mentioned earlier with the right keywords is important and you need to consider it throughout your profile. Certain areas of your profile hold bigger weight in Google eyes in order for your LinkedIn profile to surface to the top of the first page of results for a keyword search relevant to your keywords. For example the number one organic (not paid advertising) search result for Job Search Expert on Google.ca is Paul Hill | LinkedIn check it out. If you are in job search mode and hope to be discovered, realize that your name and surname (name) are not keywords – your name does not show up in any job descriptions. Yes of course employers will search you by name to find dirt or interesting impactful tidbits about you but that is only after the fact; once they have identified you. Case in point: CTV did not search for Paul Hill when they were selecting their new job search expert rather the CTV Chase Producer entered the words job search expert into Google and I popped up – she did not care what name popped up – she was not trying to find a Paul Hill she wanted to find a job search expert and I am happy to tell you she did and that job search expert just happened to have the name Paul Hill. If you are in job search mode you need to attend the next interactive LinkedIn workshop because there is so much more to LinkedIn. Bring your smart phone and laptop and customize your profile on the spot and make new connections plus find out much much more; for example, learn how to track the jobs and people you need to connect with and how to attract the right attention from the people who have the power to hire you. Learn the little known secret which people are raving about that will propel your LinkedIn profile to the #1 spot of Google search results for your keywords. Article originally posted Mar 2014, updated June 8, 2015. Through his experience, he has discovered and simplified the core distinctions and strategies that can be applied immediately to measurably improve your transition to getting hired. Copyright © 2019 ADV Advanced Technical Services Inc.